For more than 25 years, Harshad Sanghvi has made invaluable contributions to the field of obstetrics, gynecology and clinical epidemiology. After receiving his medical education in Kenya, Dr. Sanghvi completed graduate, residency and postdoctoral training in both the United Kingdom and United States. As Chief Medical Officer of Jhpiego, Dr. Sanghvi is responsible for leading the organization’s technical and clinical approaches by designing and implementing effective, low-cost, hands-on solutions to strengthen the delivery of health care services for women and their families worldwide. He has extensive experience assisting more than 25 low-resource countries to adopt evidence-based guidelines, design training systems, develop health trainers and leaders, scale up training programs, and seek innovative solutions to improve the performance of health services for women. For the last 10 years, he has led the global effort in expanding emergency obstetric care as well as seeking solutions for preventing postpartum hemorrhage and cervical cancer in low-resource settings. 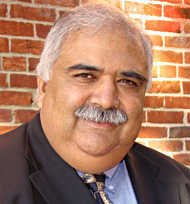 Dr. Sanghvi was the main contributor to Managing Complications in Pregnancy and Childbirth: A Guide for Midwives and Doctors and contributing author to Managing Newborn Problems, two of the Integrated Management of Pregnancy and Childbirth (IMPAC) series of manuals published by the World Health Organization (WHO). He has more than 200 publications in international journals covering family planning, maternal health and cervical cancer. Dr. Sanghvi is a senior professor at the Johns Hopkins University Bloomberg School of Public Health. Before joining Jhpiego, he was Professor and Chairman of the Department of Obstetrics and Gynecology at the University of Nairobi. The Indian College of Obstetricians and Gynecologists recently awarded Dr. Sanghvi with its honorary fellowship, which is given to individuals who have made exceptional contributions to women’s health.